Greetings!!! We had a great turnout despite some people not wanting to have fun and try something new like duck pin bowling. It is a shame that some don’t like to try new things. Remember the old saying, “Try it, you might like it”. I am sure that we will have the Bowl-A-Thon next year, just not sure what type of bowling yet. The mystery will continue until next year. Thank you so much to those who did come and bowl. Make sure that you tell others about the fun they missed. Here are some upcoming events for the Juniors and Youth. The Juniors and Youth will be serving you a delicious dinner at “Let’s Celebrate”. Pat Palmer will help us out by making her famous lasagna which will be the featured item for dinner that day. “Thank You” Pat for helping us out once again. So make sure that you come hungry to “Let’s Celebrate” because you are going to leave full!!!! Anyone up for a ballgame? Have not heard any feedback from anyone. Doesn’t the smell of a good hot dog and peanuts and popcorn make you want to run out to the ball game? Come on, why not have a little fun. All work and no play makes for a boring life. Live it up a little and act like a kid. You may just catch a foul ball. What could be more fun than good Grange friends, a hot dog and a really good baseball game. Let me know if any granges are interested. 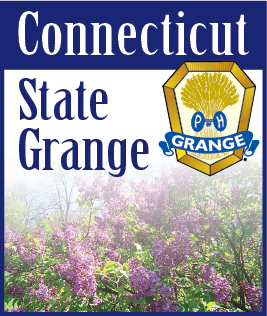 Please call me (203) 238-1510 or email me at youth@ctstategrange.org OR junior@cetstategrange.org. Hope everyone has a great spring. Get out and plant some flowers.